According to The Secret of Light, a book written by Walter Russell, light is something that cannot be seen, it can only be known. The reason for this is because light is still. The human sense of sight cannot respond to stillness and therefore it needs wave motion to simulate the idea of light, so it can see and experience light. Light cannot be seen, it can only be known. Light is still. The sense of sight cannot respond to stillness. That which the eyes “feel” and believe to be Light is but wave motion simulating the idea of Light. Like all things else in this electric wave universe the idea of Light cannot be produced. Electric waves simulate idea only. They do not become idea. When man sees the light of the sun he believes that he is actually seeing light when the nerves of his eyes are but “feeling” the intense, rapid, short- wave vibrations of the kind of wave motion which he senses as incandescence. The intensely vibrant electric current mirrored into the senses of the eyes fairly burns them. They cannot stand that high rate of vibration. The eyes would be destroyed by such a vibration but light would not be the cause of that destruction. Fast motion, simulating light, would be the cause. It would be like sending a high voltage electric current over a wire, so fine that the current would burn it out. This 1st Unit of the Secret of Light Series explains the fundamentals of Russellian Science and Philosophy. The Creator and the Cubic Wave-Field Model as authored by Dr. Walter and Lao Russell, are defined in this segment to set the stage for the following videos which will go into great detail concerning the inner workings of the Mind-Wave Universe via “Electric Vortex Wave Dynamics” which give form to our so-called “Physical Universe.” This experience we call “Life” is a divine journey of Mind. In Russellian Science and Philosophy, Mind is Causal, and matter the effect. 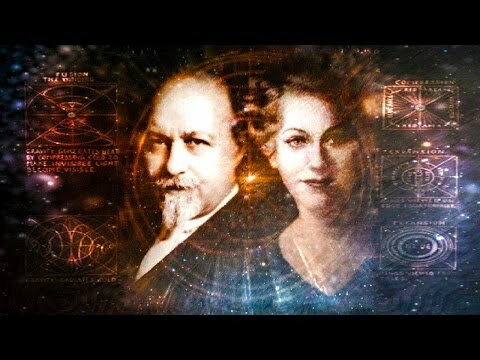 Below are some of the videos of The Secret of Light series. There is a total of 20 videos in the series. To watch all of them, visit this page.